These days all are having apple phones and Android phones. They need cable for charging their phones or even for transferring the data between their devices. In some cases people are with Android phone and forgot to carry their USB cable along with their device and the apple cable is available for them at the spot which is useless for them. It may also happen in vice versa for Apple users. 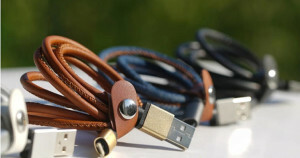 For avoiding these problems, all the Smartphone users with apple and android devices are waiting for a unique USB cable which can be used for both. At last the solution for this problem is introduced by the new start-up, LMcable with its new product 2-in-1 cable that works for both android as well as apple devices. This new charger was launched on Kickstarter on the leap day, 29th February 2016. As it is the unique project, it have generated ten times more than it expected i.e., AU$ 52000 on expecting AU$ 5000. The product specifications say, the cable can be used for data transfer and provide 2.4A fast charging. 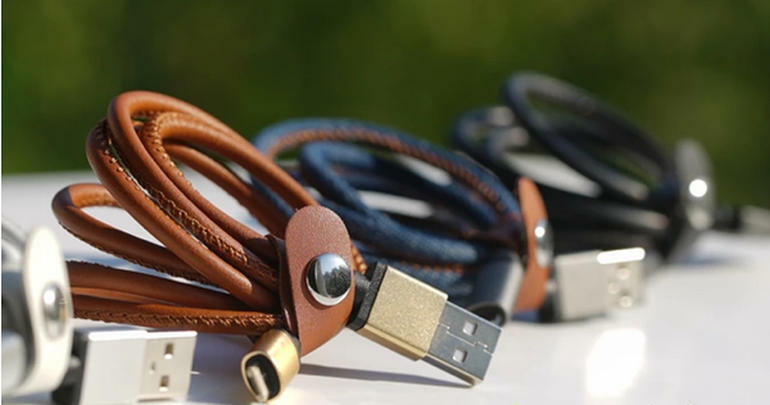 The cable is made of tin-plated copper wires and wrapped around with leather for additional protection and it also gave it a unique style with leather wrapping. As the wires used in it are copper wires with tin-plating, it is 10 times more durable than ordinary cables. The cable is made of environment friendly halogen –free TPE material which prevents it from tangling. The USB has a brass buckle to keep it neatly inserted into your device. The cable is available in sunlight white, moonlight black, cowboy blue and vintage brown colors and the deliveries will begin from April by booking it now.